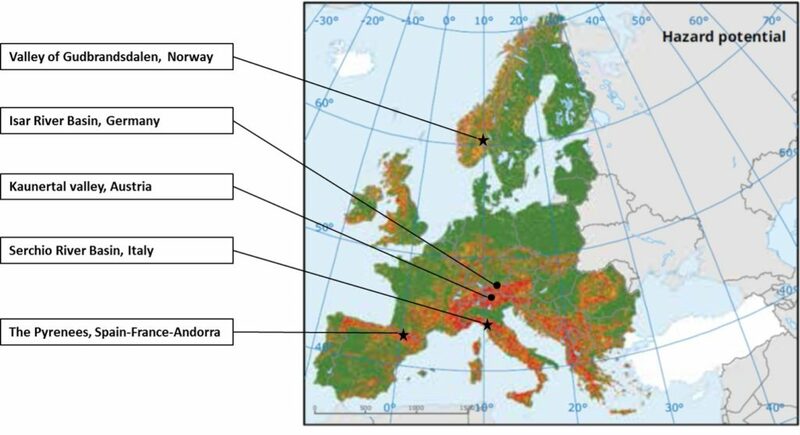 The overarching objective of PHUSICOS – ‘According to nature’ is to demonstrate that nature-based and nature-inspired solutions (NBS) for reducing the impact of extreme weather events in rural mountain landscapes, are technically viable, socially acceptable, cost-effective and implementable at the regional scale. 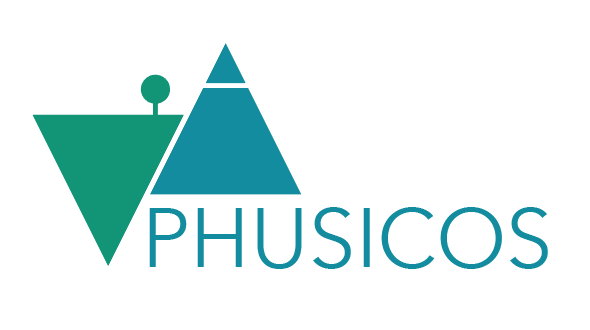 PHUSICOS will demonstrate that the benefits of NBSs are inclusive by increasing the ecological, social and economic resilience of local communities. Nature-based and nature-inspired solutions are more than green and blue infrastructure. These solutions also include sustainable management and responsible use of land, water and natural resources. Engaging a diverse range of stakeholders through a Living Labs approach (a stakeholder participation methodology, Almirall et al., 2012) with service innovation at the demonstrator sites and concept cases focusing on co-designing sustainable management services in the face of natural hazards. Designing a comprehensive framework for comparative analysis and monitoring to evaluate the performance of various NBSs through the lens of technical innovation to assess the benefits and costs using different performance assessment tools: effectiveness in reducing hydro-climatic risks, reduction of initial costs and maintenance costs, spatial and temporal sustainability, any potentially undesirable side effects and gauging social perceptions. Exploring ways to enhance the inclusiveness, fairness and effectiveness of the co-design and implementation of NBSs in the context of governance innovation, the planning policy and implementation mechanisms for sustainable use and management of land, water, and natural resources in rural areas and their impacts at the local and wider watershed scale. Creating a knowledge co-generation platform using learning arena innovation, including the use of social-ecological simulation approaches (also referred to as serious gaming), to encourage knowledge exchange through the identification of possible NBSs, their impacts at the demonstrator sites, as well as the training of local decision-makers and contractors to implement innovative NBSs. Establishing a comprehensive state-of-the-art evidence-base and data platform concerning NBSs through product innovation, providing a set of tools and best practices, tested at the demonstrator sites in different contexts and found suitable for replication, up-scaling and future implementation. 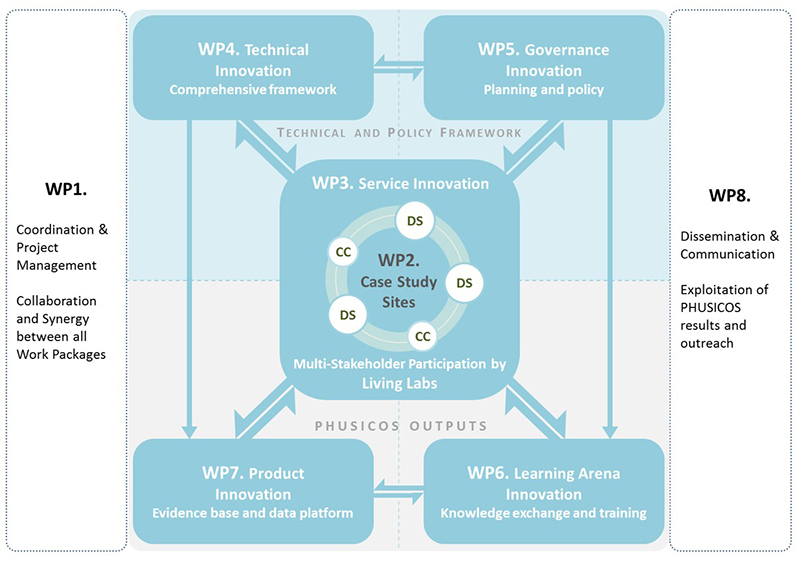 The overall structure of the work plan and project shown in the figure below reflects the central role of the case study sites in all aspects of the innovation actions and results from the work packages, supported by strong project management and dissemination of project results in order to test NBSs that can be replicated in other regions.